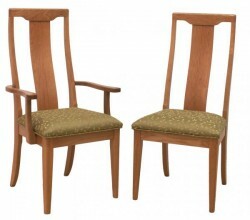 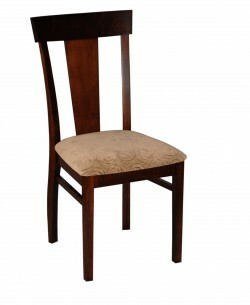 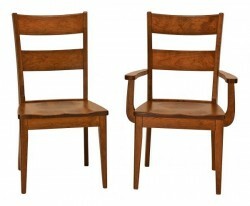 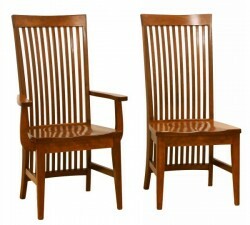 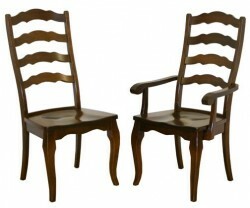 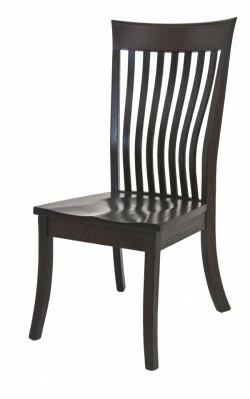 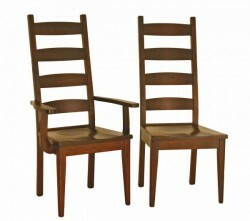 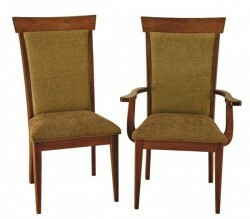 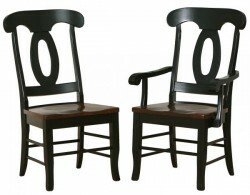 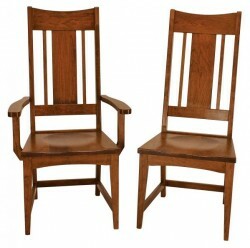 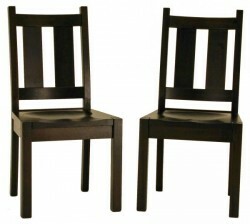 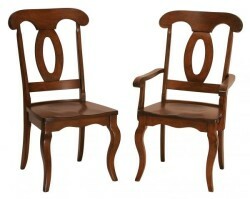 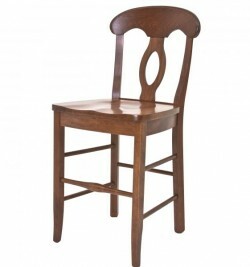 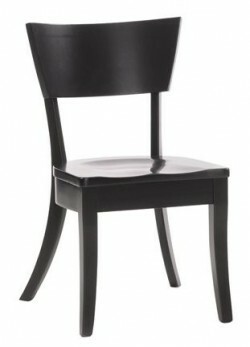 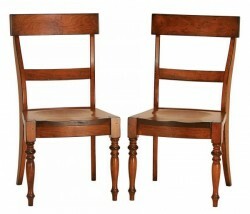 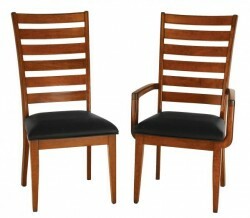 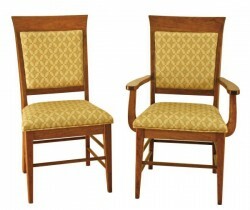 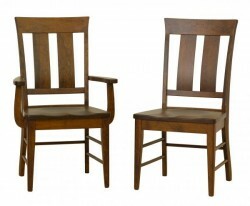 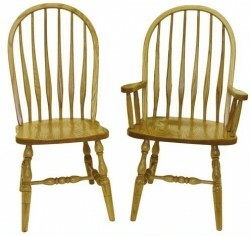 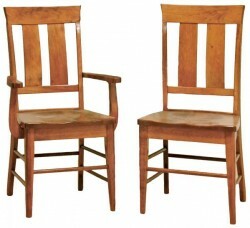 Found in kitchens, formal dining rooms and offices, traditionally styled chairs can complement virtually any décor. 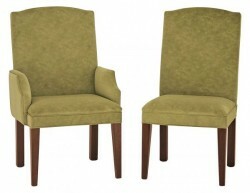 They can be paired with a matching dining suite or used more eclectically, with modern style furniture or even as part of mix-and-match set of chairs. 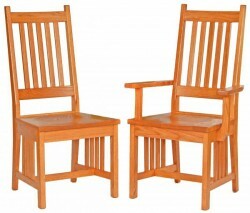 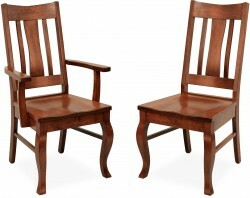 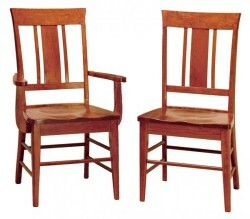 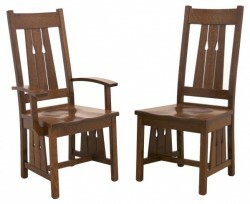 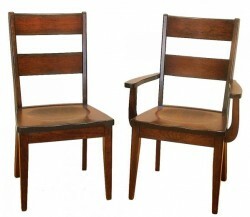 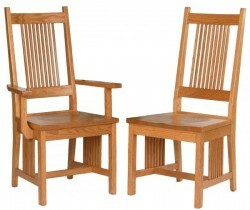 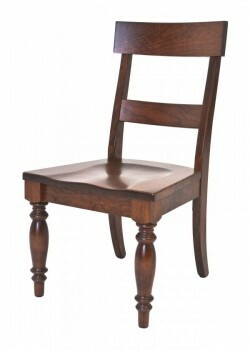 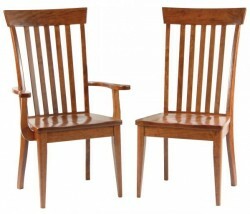 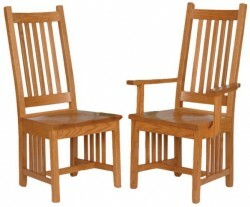 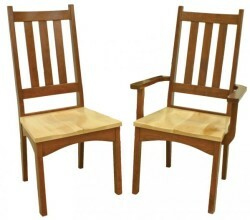 Traditional chairs from Amish Originals are available in a wide variety of styles that include arm chairs, side chairs, and upholstered options. 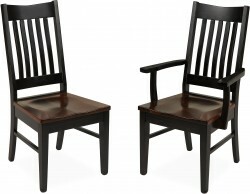 And like all of our furniture, customers can select the wood species, stain color, and size to insure a perfect fit for your home. 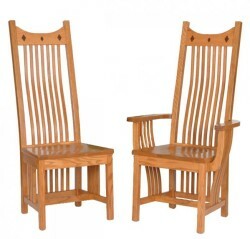 Each one of our traditional chairs is custom-made to your specifications by the storied Amish craftsmen of northeast Ohio. 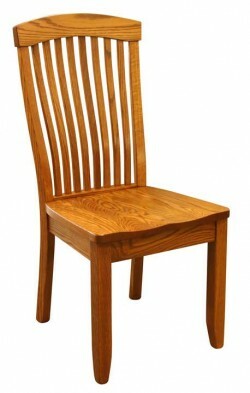 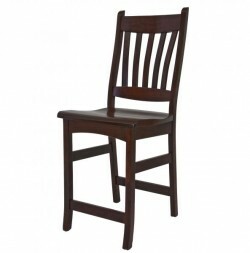 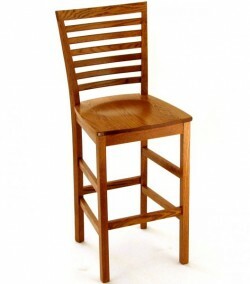 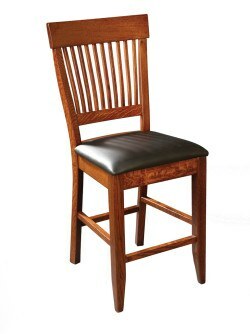 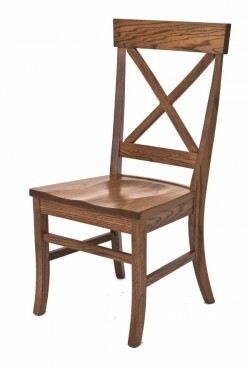 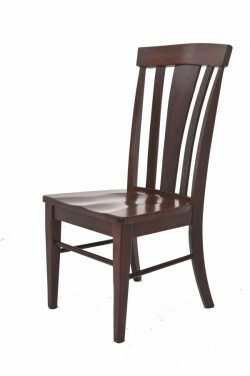 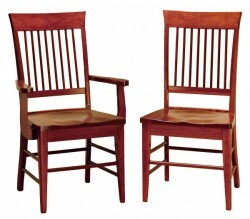 Using only solid American hardwoods like Maple, Cherry, Red Oak and Quarter Sawn White Oak, our chairs are constructed by hand, using time-tested methods that consistently produce a durable and beautiful product. 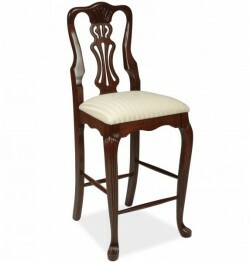 To see and feel the quality of our furniture, and to examine the vast selection of chairs available, visit our storefront in Westerville, Ohio’s historic Uptown shopping district. 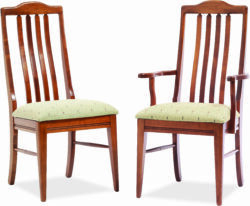 One of our talented sales and design staff will help you find chairs and dining furniture that will quickly become treasured family heirlooms. 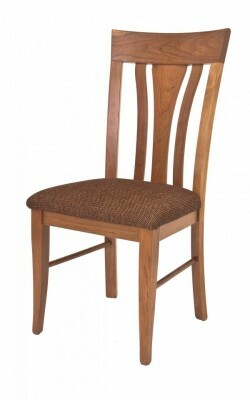 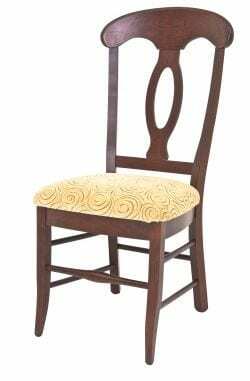 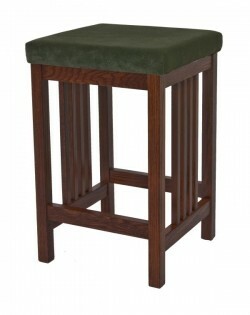 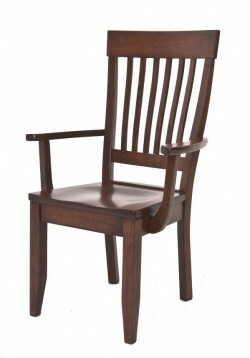 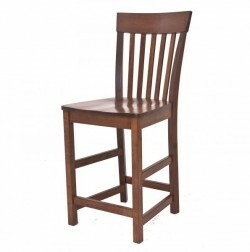 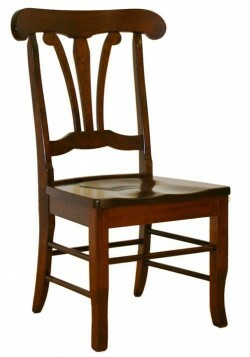 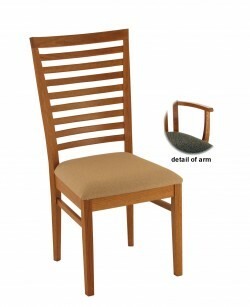 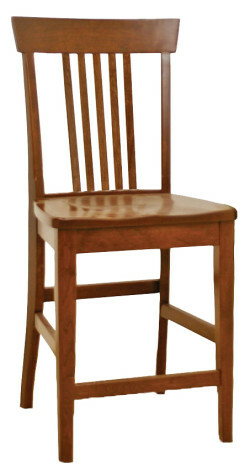 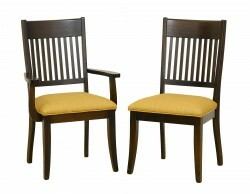 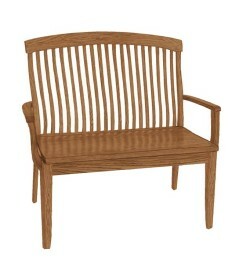 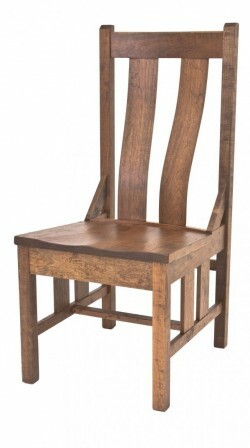 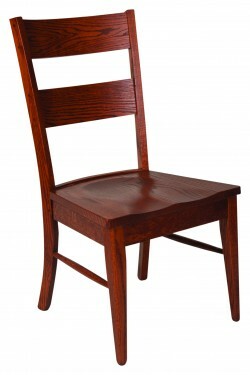 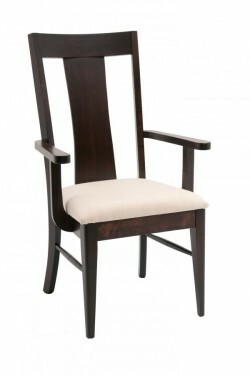 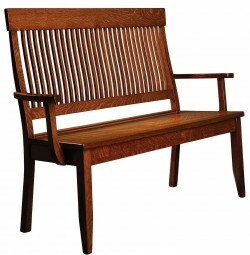 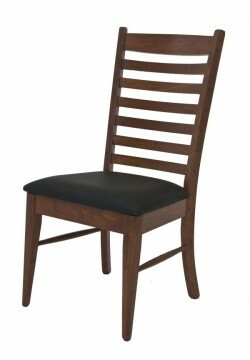 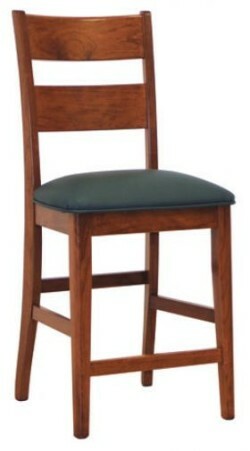 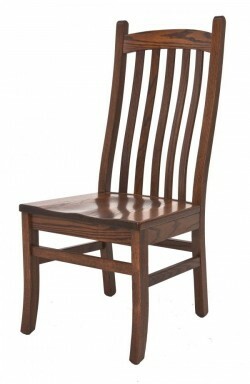 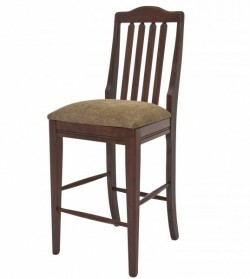 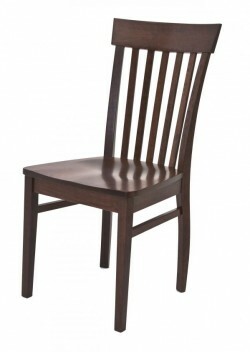 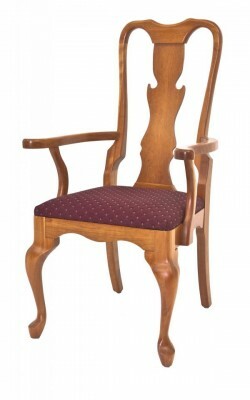 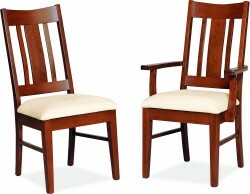 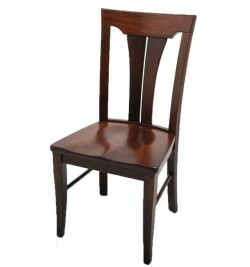 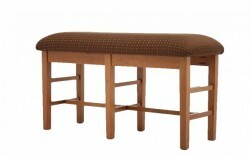 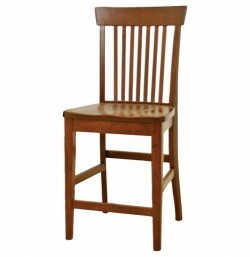 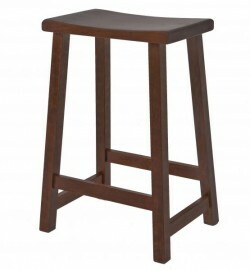 Shown in Brown Maple with fabric seat. 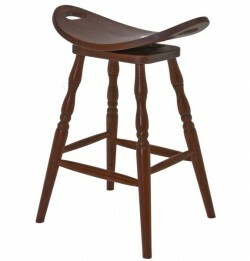 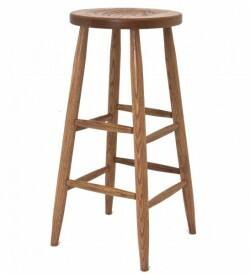 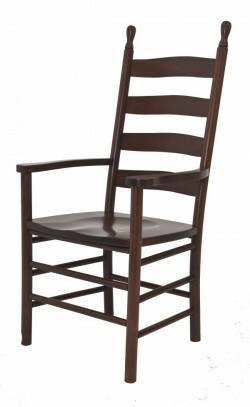 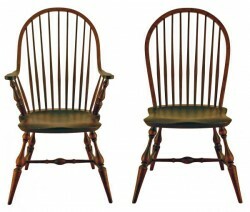 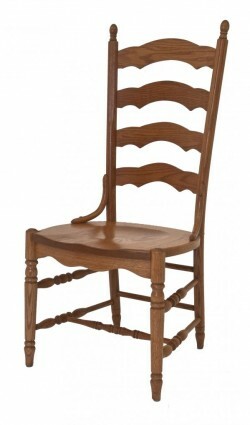 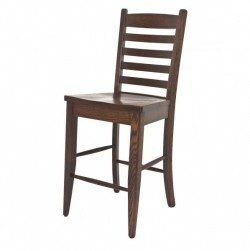 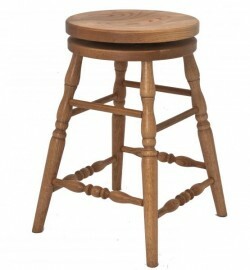 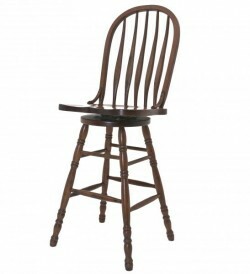 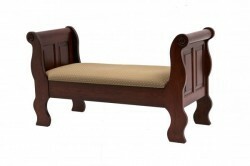 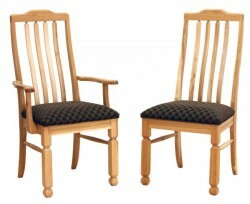 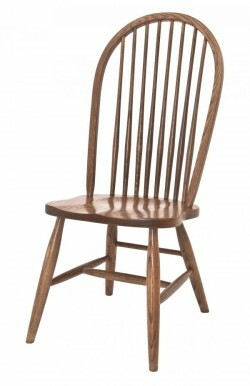 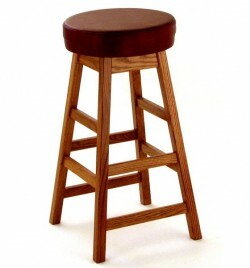 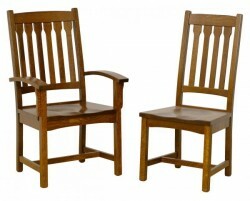 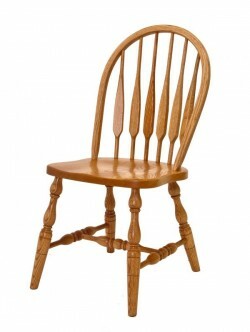 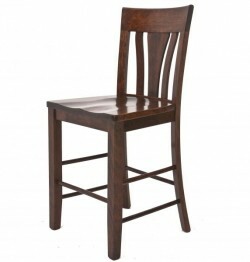 Shown in Hickory with fabric seat. 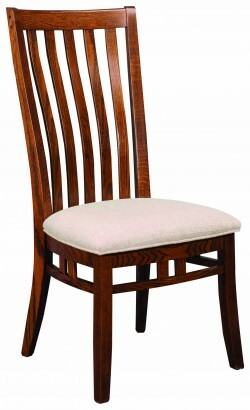 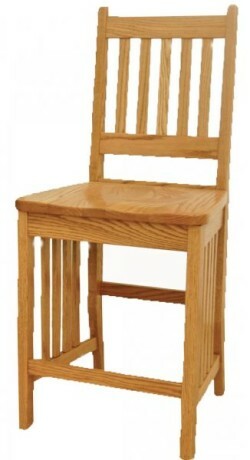 Shown in White Oak with wood seat. 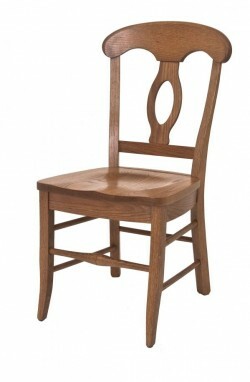 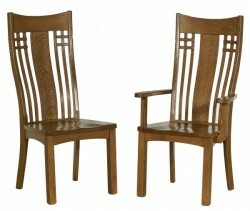 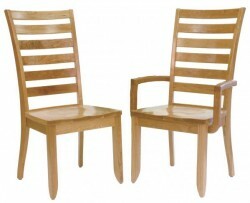 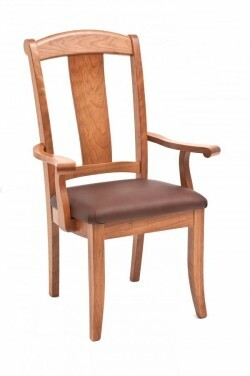 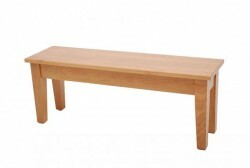 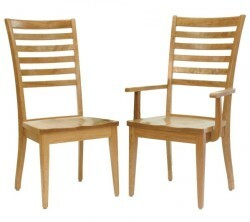 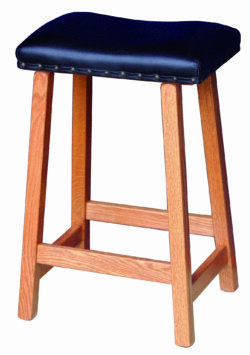 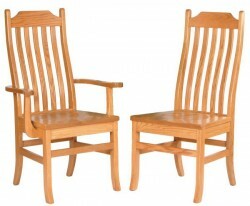 Shown in Quarter Sawn White Oak with leather seat.